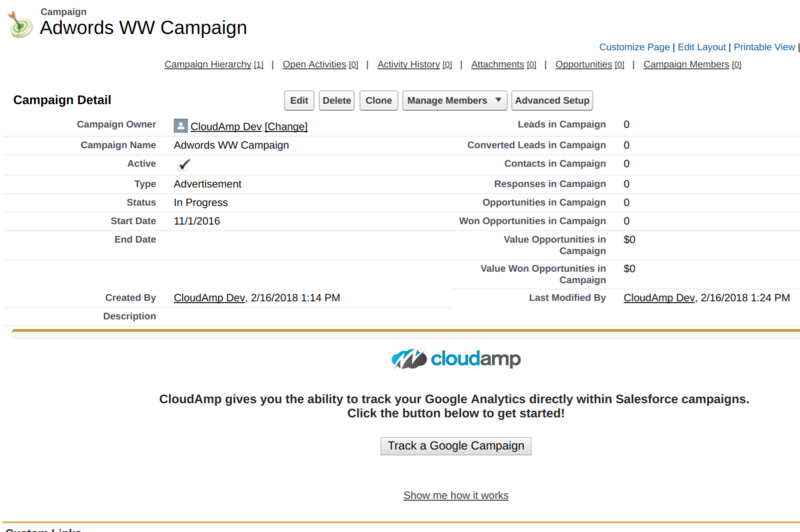 Wish you could see Google Analytics campaign data right in your Salesforce Campaigns? 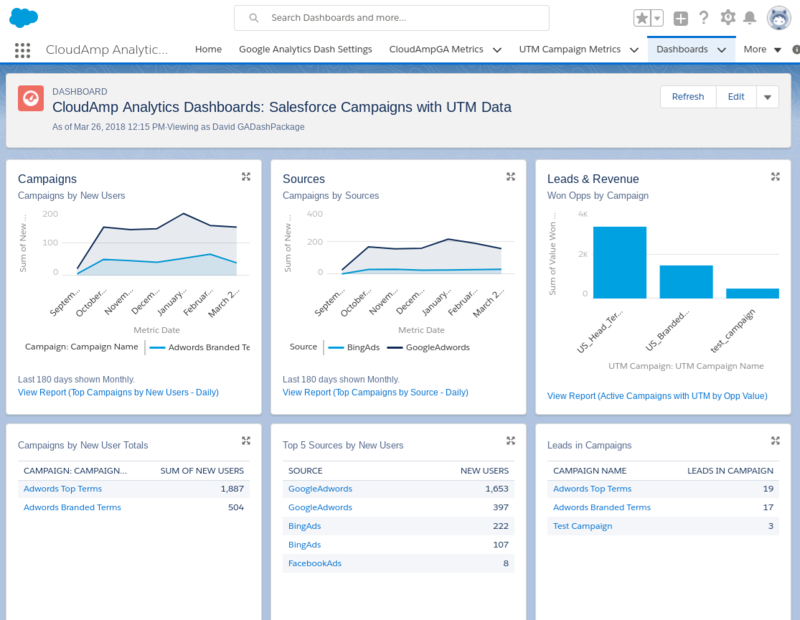 To get started, first update your Salesforce Campaign page layout. 3. Create a new 1 column section and label it "CloudAmp UTM Campaign Data"
4. Drag the Visualforce page called "UTMCampaign" into that section. Please note that the UTM Campaign name must match exactly how it appears in Google Analytics, which is why cutting and pasting from GA is recommended. The data import will happen overnight in the batch. Once your data starts importing, you can see the Google Analytics Campaigns UTM parameters and more in the prebuilt dashboards.